يوفر فندق Blue Lake Motel ظروف إقامة راقية وهو خيار رائج للسياح ولرجال الأعمال أيضاً. يقع في منطقة سياحة من ماونت جامبير. إن موقع الفندق الاستراتيجي، الذي يبعد فقط عن مركز المدينة، يسمح للنزلاء بالوصول سريعاً وبسهولة إلى العديد من الوجهات المحلية المثيرة. سوف يعشق النزلاء موقع هذا الفندق، فهو قريب من أهم المعالم السياحية في المدينة كمثل ‪Mount Gambier Rsl War Museum‬, ‪Main Corner Complex‬, ‪Centenary Tower‬ . إن حسن الضيافة والخدمات الراقية التي تعرف بها ARRA Accommodation Group تغني تجربتك في Blue Lake Motel. لضمان راحة ضيوفه، يقدم الفندق الخدمات التالية: مطبخ, واي فاي مجاني في جميع الغرف, واي فاي في المناطق العامة, صف السيارات, غرفة عائلية . ادخل إلى واحدة من الغرف 28 وتخلص من عناء نهار طويل بمساعدة مجموعة كبيرة من الخدمات كمثل تلفزيون بشاشة مسطحة, سجاد, رف للملابس, قهوة فورية مجانية, شاي مجاني الموجودة في بعض الغرف. سواء كنت من محبي الرياضة أو كنت تتطلع لتفريغ عناء نهار صعب، ستجد خدمات ذات مستوى عالي بانتظارك كمثل حديقة. مهما كانت أسبابك لزيارة ماونت جامبير، فإن Blue Lake Motel هو الخيار الأفضل لإقامة مثيرة وممتعة. سيتم إرفاق رسالة البريد الإلكتروني المتعلقة بتأكيد الحجز بتعليمات خاصة بعملية تسجيل الوصول. يرجى اتباع الإرشادات لضمان سهولة عملية التسجيل. مطلوب من الضيوف تزويدنا بالموعد التقريبي لتسجيل الدخول في العقار قبل الوصول. Very clean. Excellent comfortable bed. Good value. 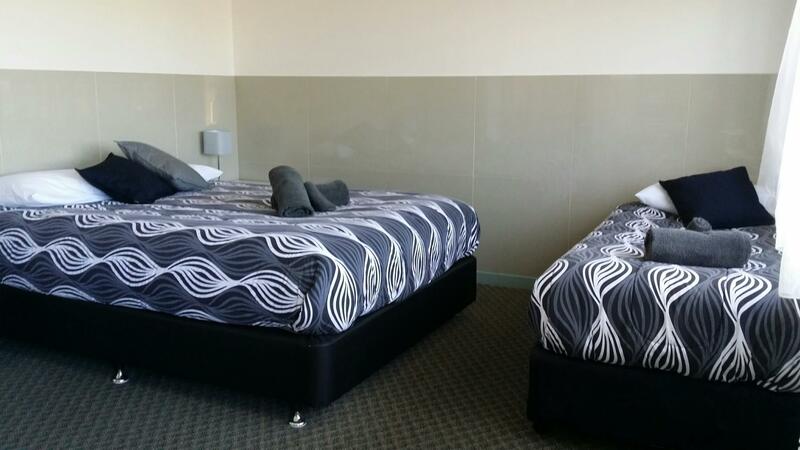 Older style motel, We had a newly refurbished room. 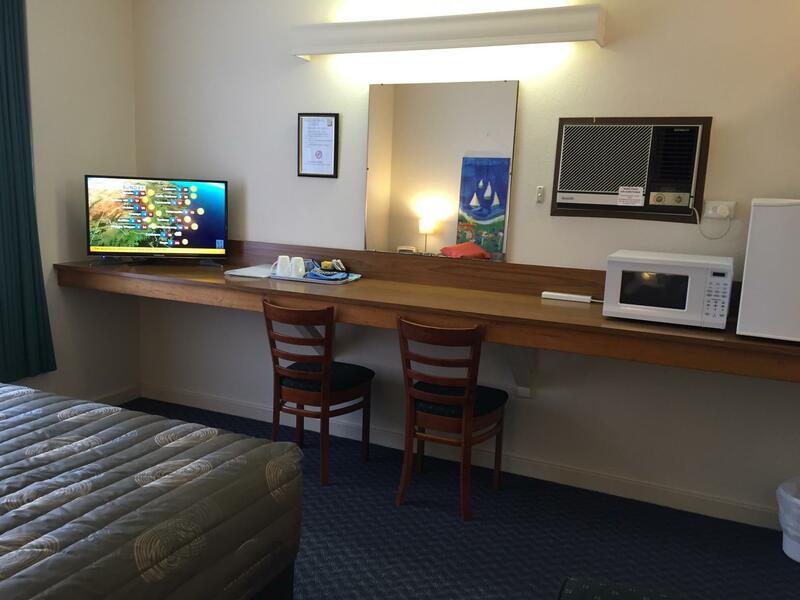 Good clean budget accommodation. Wifi is on and off. There was a little miscommunication during check in, but in short period been verified and able to check in after a long day journey due to late arrived around 8pm. I was happy to stay due to car just park at front of the room. For cold weather, there a quit a cold during shower due to water pressure high and low, quit difficult to adjust the water temperature. You need to request the hair dryer at reception. The bed is comfy, we had a wonderful rest. 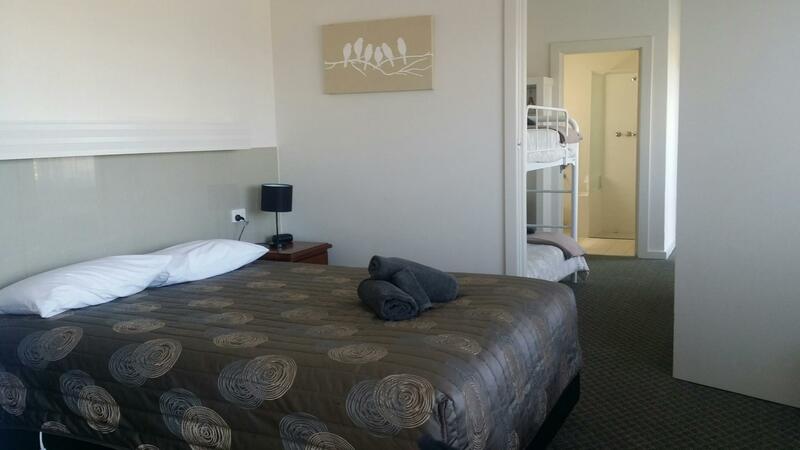 Except for the small shower, the room is comfortable and facilities adequate for an overnight stay. The budget family room is nice. 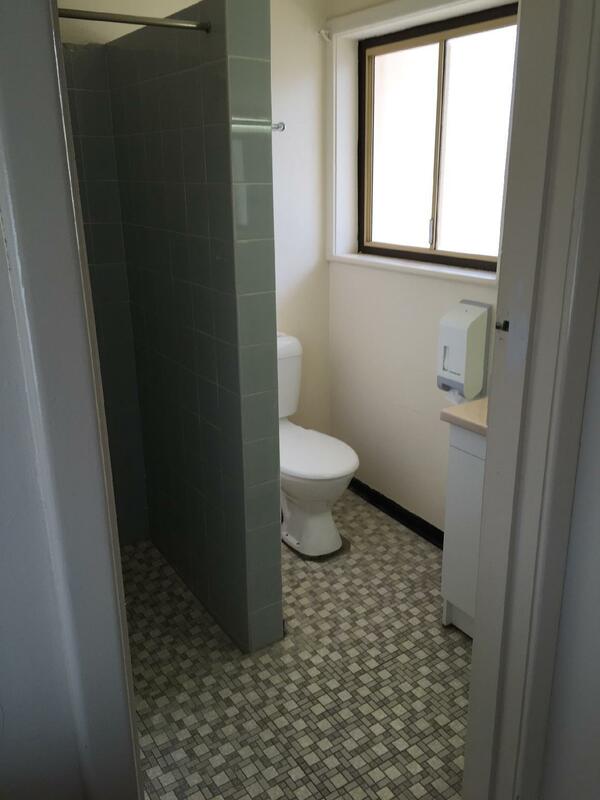 It has 2 toilets. And it has a fridge, microwave oven and toaster. It also has a fully equiped common kitchen to cook your meal. Great view from ground floor room. Large room but heater struggled to warm room as was one of the heaviest frosts. Excellent value for money. 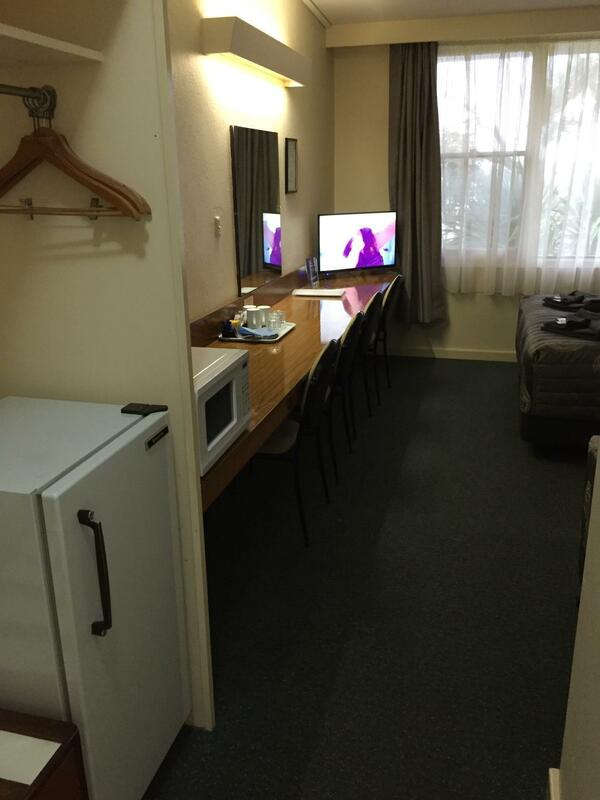 Rooms are great for the price. Nothing special about them, just exactly what you would expect and has everything you need. 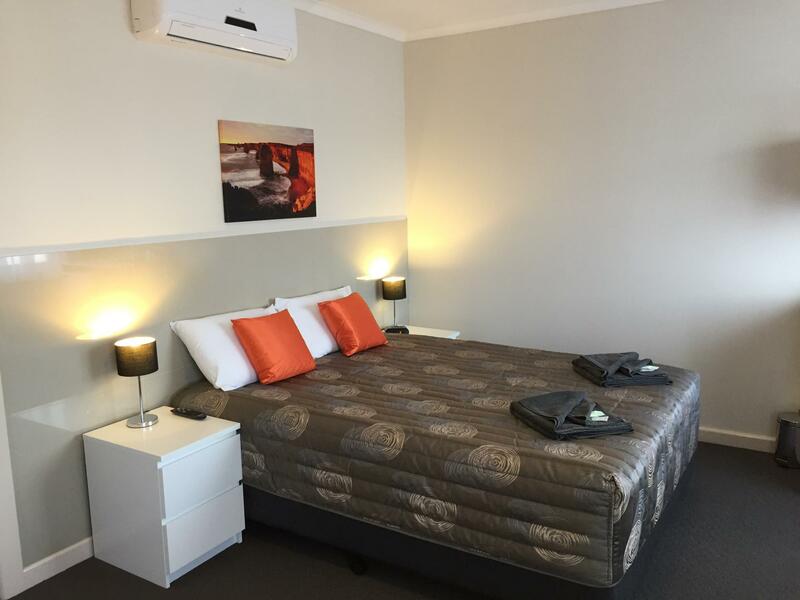 Location is great, 2 minute drive, 10 minute walk to town. We stayed in an executive room which was nicely updated. All facilities in the room were to a very good standard. The shower had very good pressure. I booked & paid for a Queen room - but the room we were given had a double bed (NOT Queen size at all!!). No explanation was given as to why this happened. There is a big difference between a double & a queen - as well as a queen being dearer than a double!! The bathroom had a very musty/damp odour - there were a few mouldy looking patches on the walls (near the shower & by the hand basin). We tried to "disguise" this smell with air freshener but that turned out to be an impossible task, so we had to keep the door closed all night so the smell didn't go into where we were sleeping. When I booked I stated we would be arriving between 9 & 10 p.m. When we arrived (9-15 p.m.) there was no-one there to let us in. When I rang the phone number listed on the reception door it was eventually answered & I was told that I had been sent a message with details of the room number/where they key was/etc. No such message (I had not received any such text or email on my mobile or email address). Walking distance to town center, Umpherston Sinkhole, Cave Gardens and Lady Nelson Visitor & Discovery Center. Short drive to Blue Lake. Heater was blowing cold air from time to time. Half of the tv channels were not watchable as they kept freezing up. Wifi not working. Dirty pillow Walls are thin and pipes are old... can hear the neighbours using the shower and the toilet. Cheap but would not stay there again.